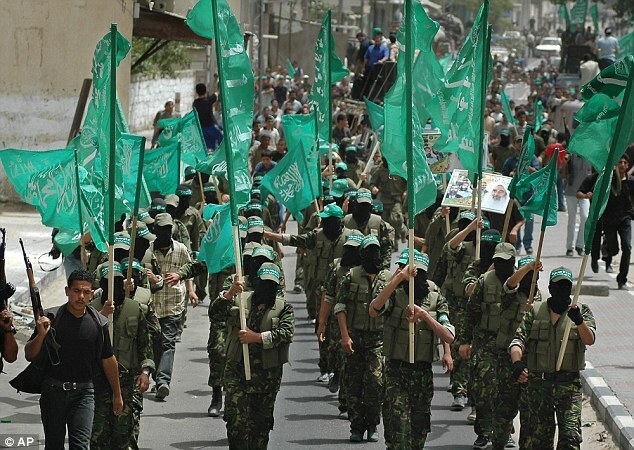 Britain is pumping huge sums of foreign aid into Palestinian schools named after mass murderers and Islamist militants, which openly promote terrorism and encourage pupils to see child killers as role models. 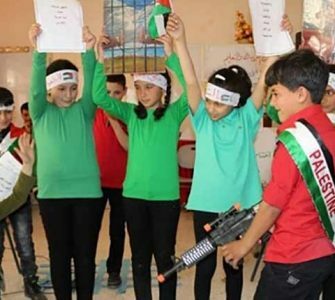 A Mail on Sunday investigation has found 24 schools named after Palestinian terrorists and evidence of widespread encouragement of violence against Israel by teachers, with terrorists routinely held up as heroes for schoolchildren. 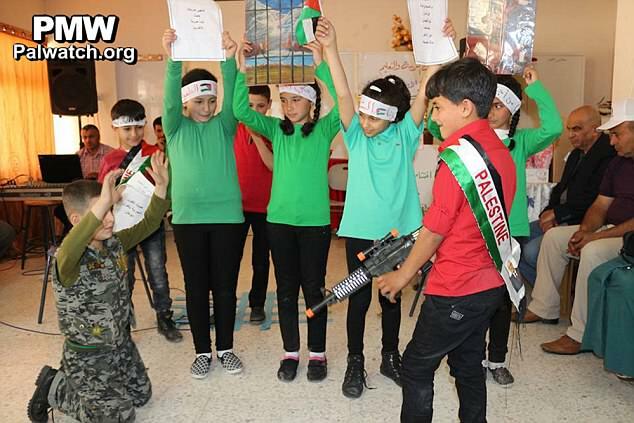 Pictures of ‘martyrs’ are posted on school walls, revolutionary slogans and symbols are painted on premises used by youngsters, sports events are named after teenage terrorists and children are encouraged to act out shooting Israeli soldiers in plays. Head teachers openly admit flouting attempts by British and European donors to control the curriculum at schools. They print overtly political study aids for pupils, some even denying the existence of Israel, and teachers boast of encouraging pupils to emulate teenage attackers killed in the most recent wave of terrorist attacks in the region. This is all despite a review of the hundreds of millions of pounds in donations poured into Palestinian public services last year, which came after Western donors raised concerns about the indoctrination of children. The changes to aid handouts followed a furore sparked by a previous Mail on Sunday investigation exposing how British taxpayers’ cash supported monthly payments to convicted terrorist killers and the families of suicide bombers. The investigation also discovered that British aid was funding salaries for thousands of civil servants who had not worked for nine years, despite many admitting they had second jobs. These payments were stopped three months ago. The investigation was part of this newspaper’s long-running campaign against the Government’s commitment to foreign aid which is set to reach £12 billion. This year alone Britain is giving £25 million to the Palestinian Authority (PA). It will help fund salaries for 30,000 officials in West Bank health and education. The EU, which gets one-tenth of its aid budget from Britain, is donating £272 million. More than half of this goes to public servants in education, health and social services in Gaza and West Bank. 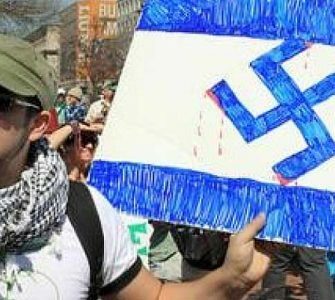 Twenty-four schools named after prominent Palestinian terrorists, including four named after the man who planned the murder of 11 Israeli athletes at the Munich Olympics, one after the founder of militant Islamist group Hamas and one after Amin al-Husseini, the infamous Grand Mufti of Jerusalem who backed Hitler and helped recruit for the SS. Sports events being regularly named after terrorists. Typical was a football tournament, hosted by a school in al-Bireh, named after a 13-year-old who stabbed two Israeli citizens a few weeks earlier. His 15-year-old friend was shot dead in the attack. 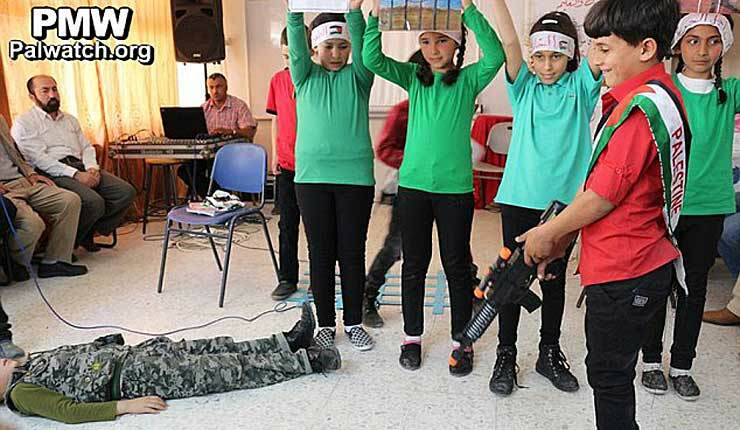 Plays put on at schools and summer camps have pupils staging ‘executions’, such as one in Hebron featuring a child draped in Palestinian colours ‘shooting’ another dressed as an Israeli soldier. The images were posted on the school’s Facebook page. 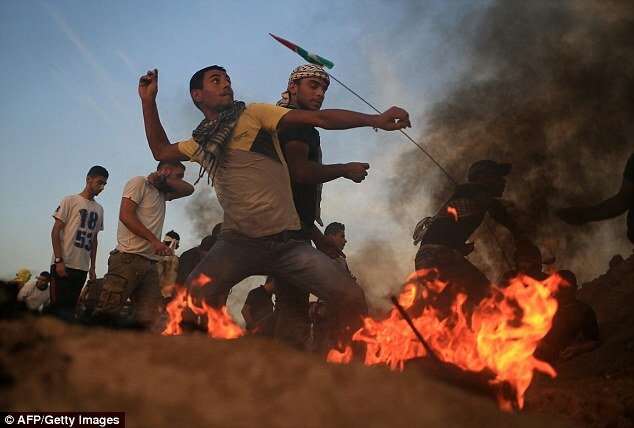 Itamar Marcus, the director of Palestinian Media Watch, said British aid was backing the glorification of terrorism and indoctrination of Palestinian children to see murderers as role models. ‘Britain and the European Union bear responsibility for this terror when they are funding a school system that is actively promoting, and thereby creating, terrorism,’ he said. 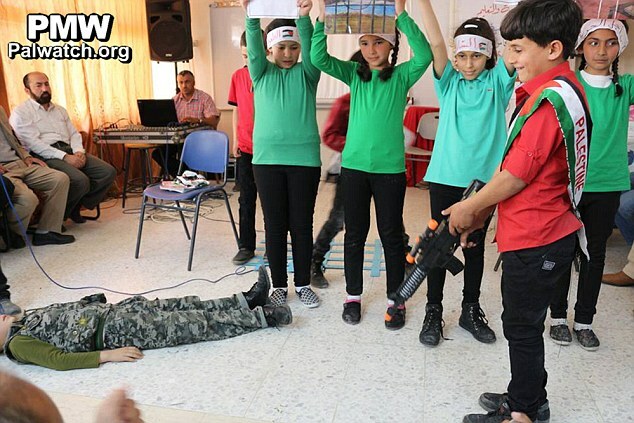 ‘This is simply child abuse, encouraging kids to die in armed struggle. One of the schools he identified was Khalil al-Wazir elementary school for girls in Hebron. 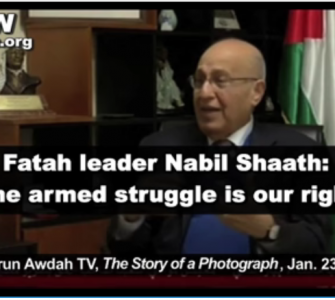 This is named after the Palestinian Liberation Organisation’s former military mastermind known as Abu Jihad, who was blamed for the slaughter of 125 Israelis. 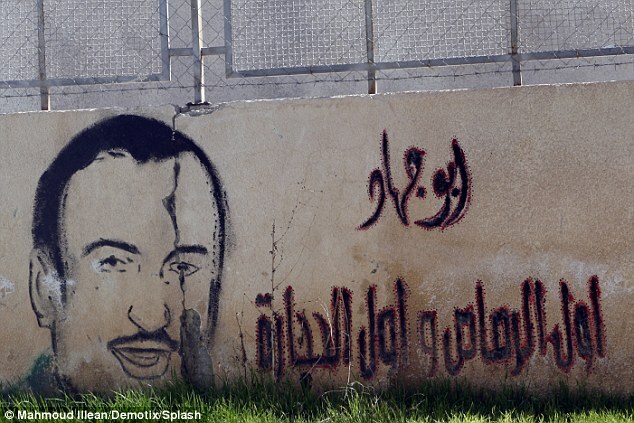 The smart hilltop school has an image of his face painted inside its grounds alongside the words: ‘Abu Jihad. First the bullets and first the stones.’ The logo for political group Fatah, which runs the West Bank, is sprayed beside the main gate with its familiar crossed guns. In one corner of the courtyard can be found a plaque marking the ‘construction and rehabilitation of toilets, storage facilities and drinking fountains’ funded by EU aid. 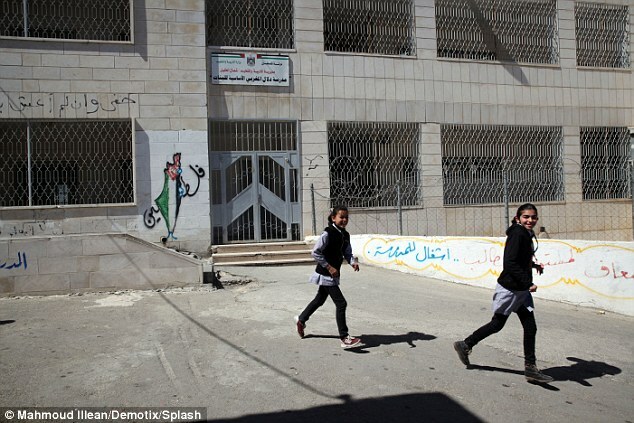 Another of the schools is Dalal Mughrabi high school for girls in al-Shuyukh, Hebron. It is one of three named after the woman who led the most lethal terror attack in Israeli history, a 1978 bus hijacking that left 37 people dead, including 12 children. A map of Israel and the Occupied Territories was painted on the wall beside the front door – filled in entirely with the Palestinian flag to illustrate the ‘illegitimacy’ of Israel’s existence. Pupils told me they knew little about Mughrabi. 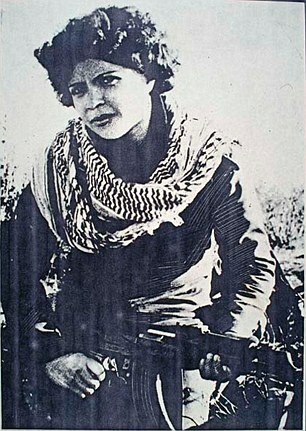 But girls at another school named after her told Palestinian television three years ago of their pride in attending a place named after ‘a great leader’. One said her ‘life’s ambition’ was to emulate such a hero. As we talked, a colleague tapped away on a computer with a USAid sticker on it, one of 25 recently donated to the municipality. One of Barack Obama’s last acts as President was to hand $221 million (£181 million) to the PA hours before Donald Trump succeeded him. The move highlights how a corrupt regime is propped up by foreign aid, with £14 billion handed over during its 23-year existence. Foreign support has fallen recently, causing financial problems in the struggling region, yet terrorists and their families are still being paid £246 million a year. Western donors, stung by accusations of aiding terrorism, forced the PA to change its school curriculum at the start of this school year by weeding out controversial issues in history, geography and religion. Teachers told me they were now meant to be barred from discussing the 1948 Nakba, when hundreds of thousands of Palestinians were exiled or fled from their homes during Israel’s war of independence. Koranic verses referring to jihad are also off limits. But they brazenly said they ignored the bans, claiming their leaders agree controls just to get through the vetting process and obtain aid cash in full knowledge any restrictions will be brushed aside in classrooms. He admitted they talked about the Nakba and ‘martyrs’ in lessons. ‘We tell them they are the foundation of our people,’ he said. ‘It is important to name schools after the martyrs. There should be monuments in schools celebrating them. ‘Where does all this aid money go?’ he asked. ‘First look at the schools, with no libraries or playgrounds and 45 children to a class – then look at the well-furnished offices of officials.’ He added that he had never seen a Western donor visit his school premises. Nabil Samara, head of the 850-pupil school, spent two spells in prison for affiliation to a terror group and one for encouraging teachers to incite violence. He has seen five pupils shot dead in protests during his decade in charge (their pictures are displayed in the school) and about 20 jailed. ‘As long as the occupation continues it is impossible for us not to be inciting violence,’ said Samara, 58. 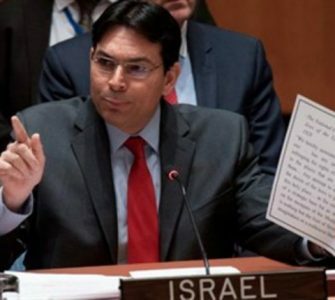 He admitted they printed their own leaflets to flesh out the new curriculum, including ones for geography lessons showing Palestine occupying all the territory of Israel, as before its creation in 1948. She said DFID believed that denying young people an education would leave them more vulnerable to extremism and added that Ministers had announced UK support for new ‘co-existence’ projects in Israel and the Occupied Territories.